My shop is running a Christmas in July special! All orders can use the code XMASINJULY5 and get 5% off their order. 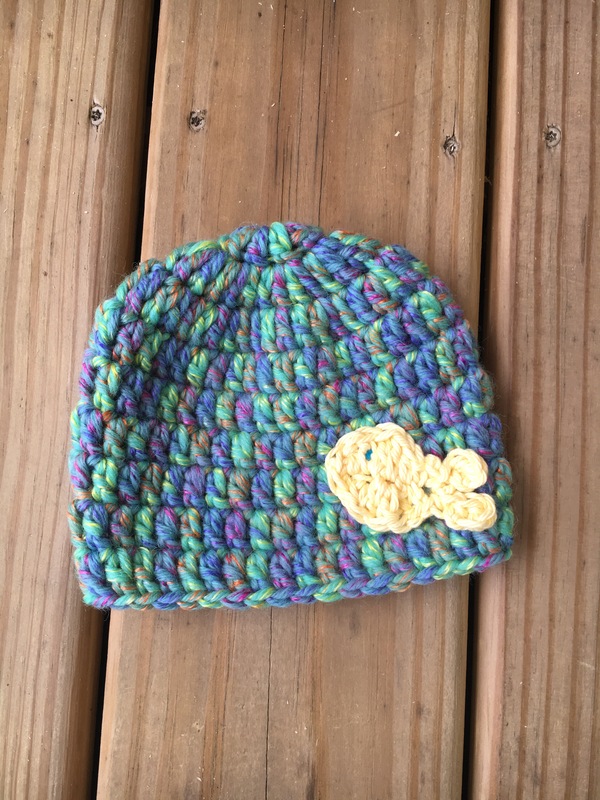 This adorable hat is my newest listing. The little yellow fish Is so cute, the colors of the hat makes it appear as the though the fish is swimming.